The SMOANT Charon TS 218 Mod picks up where the SMOANT Charon 213 left off, adding in some new design elements, a touchscreen display, and plenty of power, modes, and capabilities. 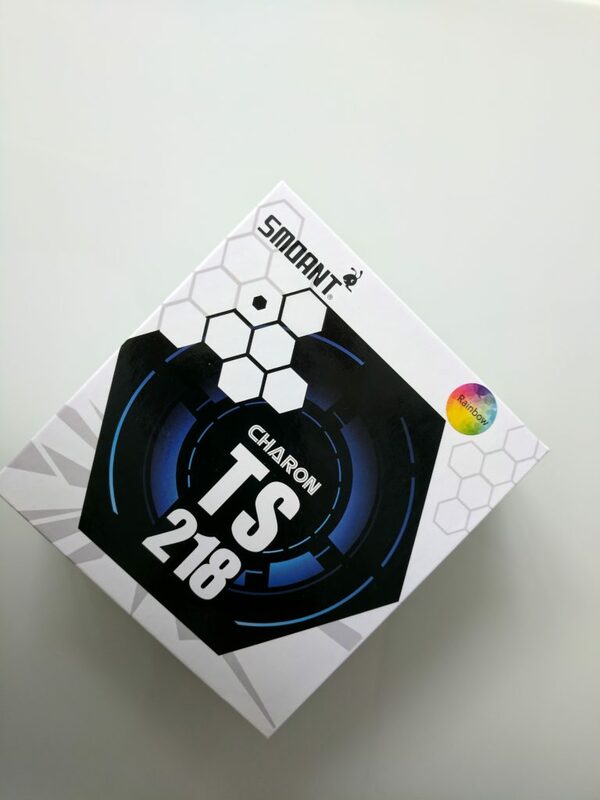 So, is the SMOANT Charon TS 218 Mod one of the best value box mods on the planet right now? Kind of. I mean, when it comes to sub-$60 mods, you’re kind of spoilt for choice in 2017 – there are literally hundreds of options. Some would argue that SMOK is where it’s at when it comes to affordable-but-decent vape hardware, but I’d counter that point. I’d say that brands like SMOANT, Vaporesso and VooPoo are actually where its really at… but most don’t know this because any of these brands has the reach of SMOK. I just spent the past three weeks testing the SMOANT Charon TS 218 Mod. Is this one of the best touchscreen mods around right now? 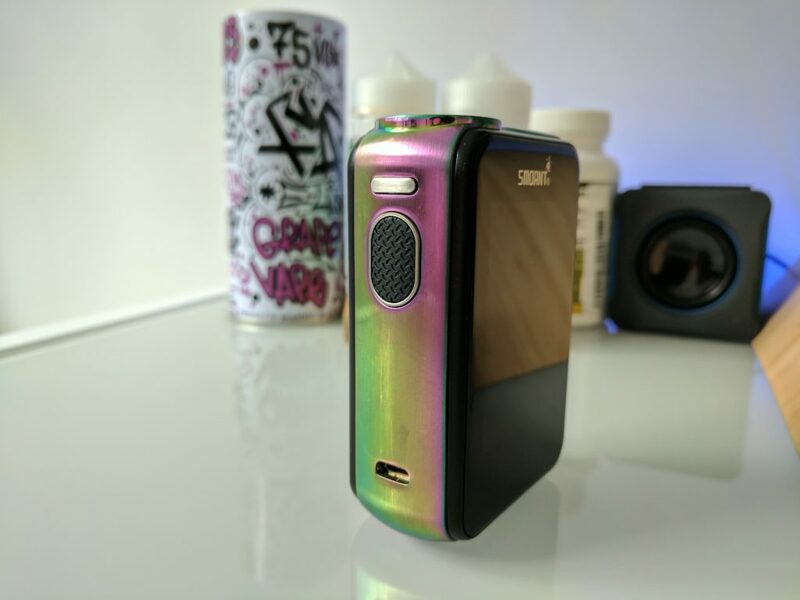 Read on to find out more about how I got on with this unique and attractive box mod. The sides, top, and bottom is made from some sort of metallic alloy, finished in a tricolor effect, that really pulls the entire aesthetic of the mod together in spectacular fashion. SMOANT takes great care with its designs; there is an attention to detail present on its mods that you seldom see elsewhere. The little details, like the rubberized finish on the fire key, add a majesty to the device that makes it feel as if it should cost a lot more than it does. I’ve been using this mod for a good three weeks now and during that time multiple people have asked me about. Most were intrigued by the touch screen aspect of the device, but others were simply interested in the design and wanted to know where I got it from. To me, this speaks volumes about what SMOANT is doing with its mods – they’re not just your run of the mill boxes. They have an element of uniqueness about them and this creates a rather special feeling in the user. 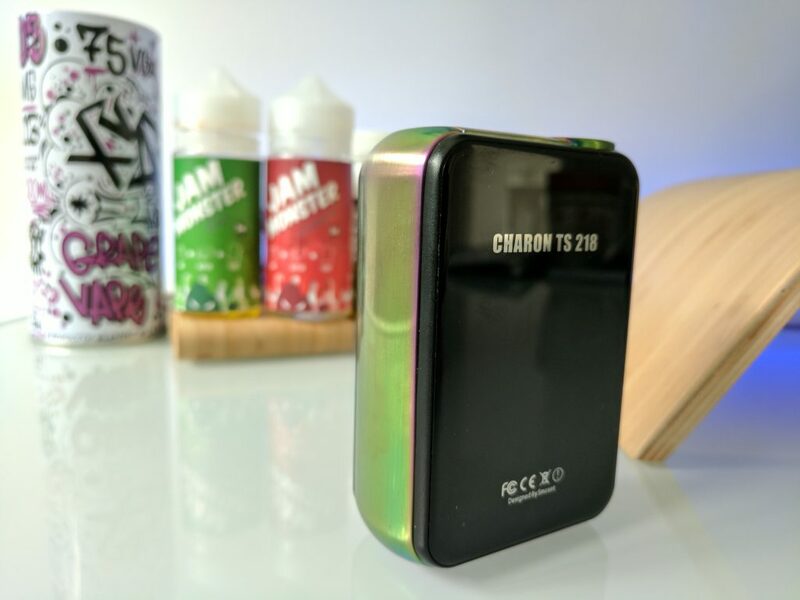 A mod like the SMOANT Charon TS 218 Mod will live and die by how good its touchscreen is, as this is essentially the only way to interact with the device – if it dies, your mod is screwed. Getting it right, therefore, is super important. 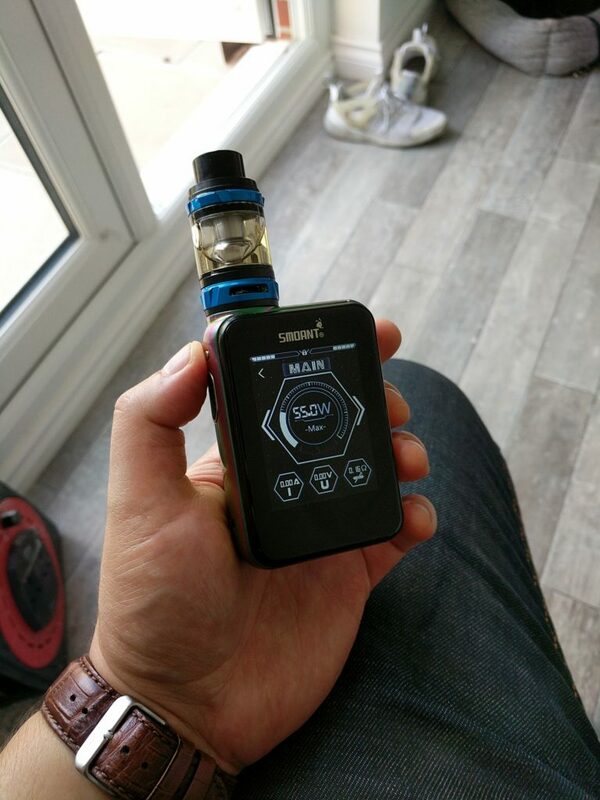 In the three weeks I’ve been using the SMOANT Charon TS 218 Mod, the touchscreen display has been amazing. The responsiveness of it is akin to a modern smartphone, as it deftly handles all input commands with ease. The panel is bright and detailed too, so you can always see what’s going on. Navigating around the menus and settings is also very simple, though you WILL DEFINITELY want to make use of the screen lock button because, without it, you can ramp up the power and take a very dry hit – this happened to me a few times. I’ve always had a bit of an indifferent view of touchscreen mods, mostly because if something goes wrong with the display, the mod is effectively useless and vape brands aren’t exactly great when it comes to customer service. I still feel this way to an extent, but I am willing to concede that SMOANT has implemented a very solid panel into its SMOANT Charon TS 218 Mod. I will continue using this mod, on and off, for the rest of the year, so I will do regular updates to this review on the performance of the display, as the only way to really tell how good a mod holds up is 6-9 months down the line – that’s when problems surface. The SMOANT Charon TS 218 Mod is a massive heavy-hitter. Like the Charon 213, it hits almost instantly and this makes it a super satisfying mod to live with on a daily basis. 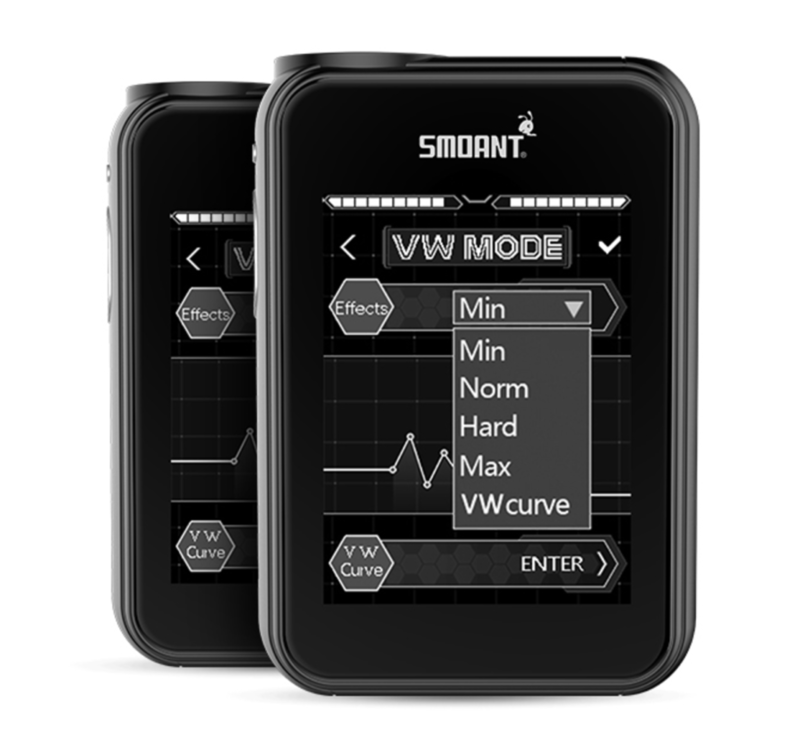 You have TC and a variety of vaping modes at your disposal, as well as the ability to program in performance curves for an even more precise vaping experience. 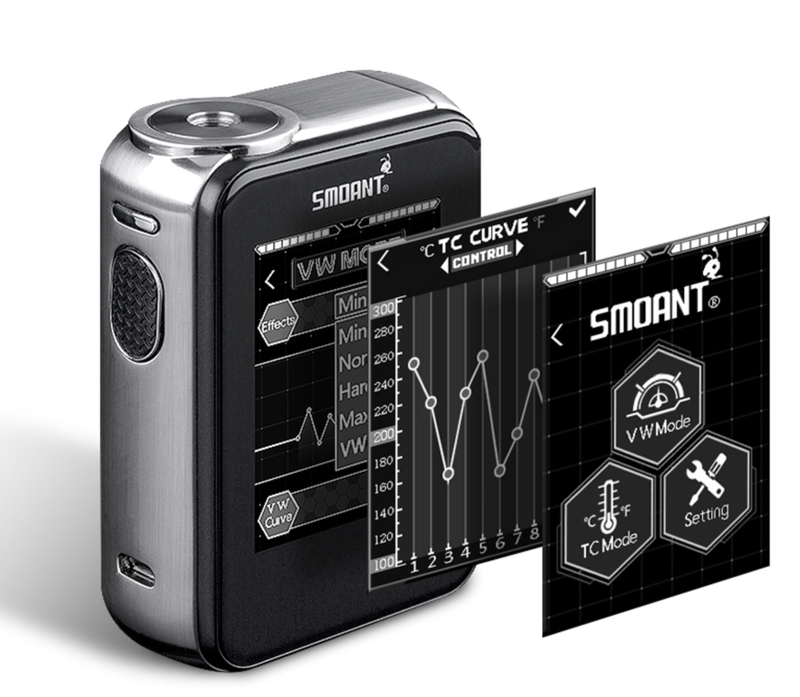 If you’re a very serious vaper, things like the TC Curve control system, whereby you tailor the power/temperature delivery over a designated time period for maximum performance, is going to come in very handy in your day to day vaping, as you can customise it for different tanks and coil builds. In many ways, the SMOANT Charon TS 218 Mod’s software reminds me a great of Vaporesso’s OMNI board, though company reps assure me it is not the same thing. Either way, it is full featured and packed with a myriad of bells and whistles that help you augment the overall performance of the mod. I don’t tend to mess around with things like this that much if I’m 100% honest. I prefer setting the vape effect mode to Hard for maximum power and then sitting back and fogging up my office until my dog starts freaking out. The moral of the story here, though, is pretty simple: if you want to get complex about your vaping and customise the hell out of it, you can. Or, if you’re like me, and you prefer to keep things simple, all of that stuff simply gets out the way and lets you get on with vaping some E Juice.